In MDM all of your manufacturing documents are organized in a tree structure composed of levels and sub-levels that can easily be adapted to your desired workflow. Each level is a virtual folder with advanced options for configuring what document types can be added, what additional information is required when adding documents, and who can access the level. To easily manage and find your documents MDM provides advanced search options that can be fully customized. Documents can be instantly previewed in MDM along with any related information, and key functions, such as backup/restore, are performed with a one-button click. 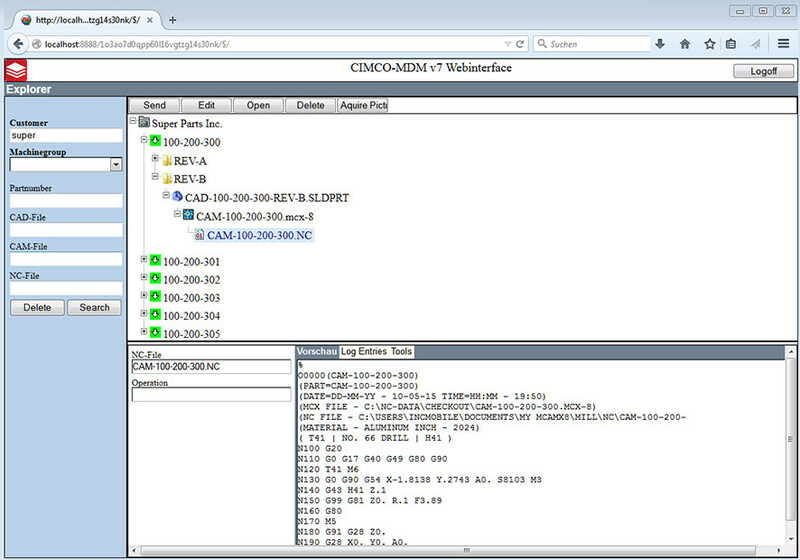 CIMCO MDM is a client/server based system consisting of the MDM Server, MDM Client, and the MDM Web Client. The MDM Server is the core component which handles a fast SQL database and stores the physical files. 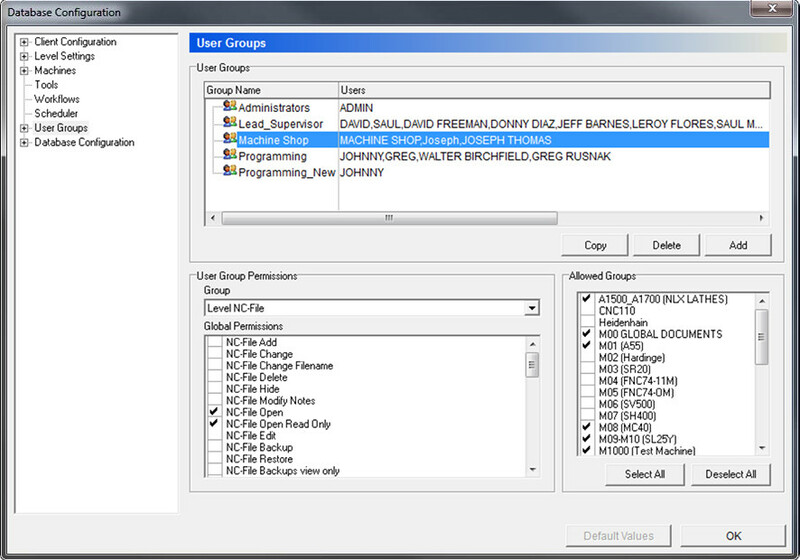 The MDM Client and Web Client provide intuitive user interfaces for managing documents on the MDM Server. In a small setup the server and client can run on the same PC. Machines on your network can also connect to the MDM Server and access dedicated machine directories. This provides a number of advantages such as sending and receiving files directly from the machine control. 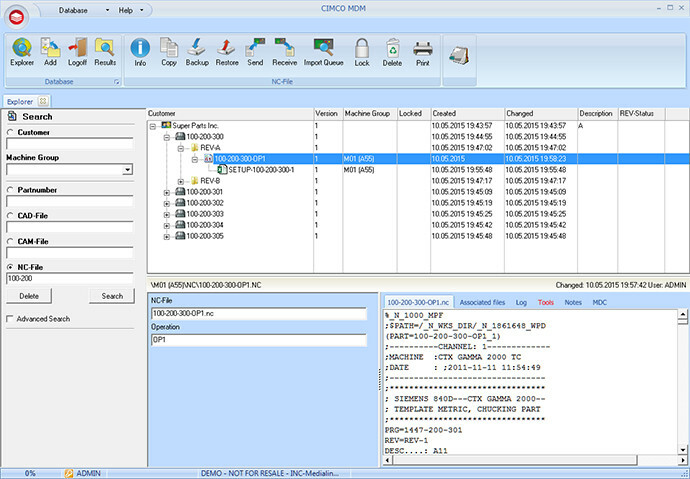 CIMCO MDM integrates with all your existing applications and has special support for exchanging and managing tool information, NC programs, and previews with CAM software from different vendors. 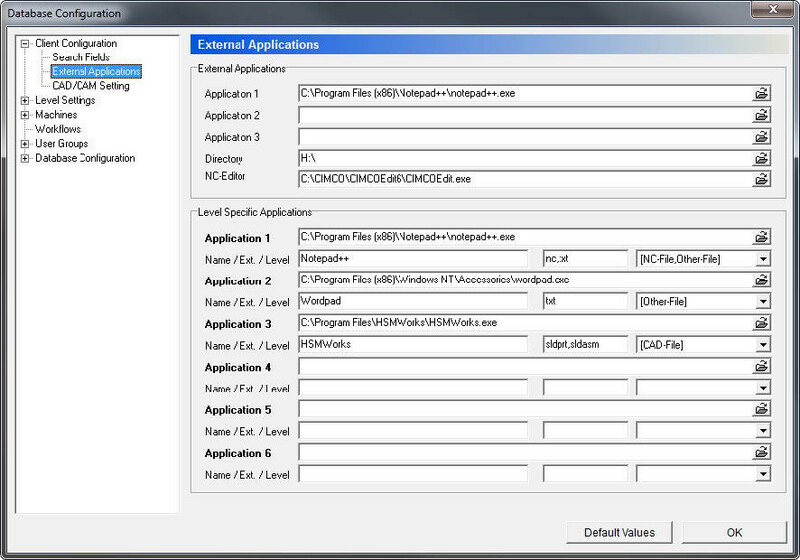 In the MDM Client, launch buttons can be added for your vital applications, and any document type can be set to open in a specific application. Further, document templates can be created for any application and even be configured for specific machine models in your setup for a faster workflow. Controlling who can access and modify information is a critical component in any information management system. 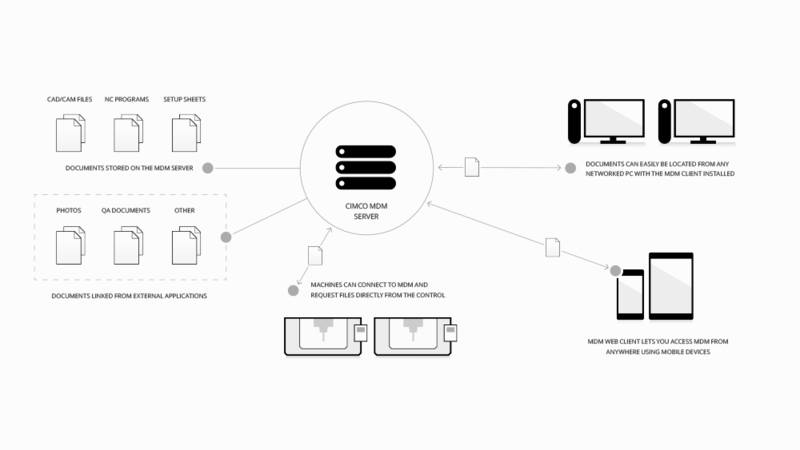 CIMCO MDM provides a highly flexible and secure User Management and Permissions system that enables an administrator to specify the level of access for each user and group, such as who can view, modify, approve, or delete certain documents. The administrator also manages who can backup/restore, send/receive, or add documents and to which groups of machines the authorization applies. The MDM Web Client enables users to manage documents on the MDM Server from a mobile device such as a smartphone or tablet. Documents can be previewed, modified, and sent to machines – and you can even use the camera of the mobile device to take pictures of your machine setup and store them for future reference. 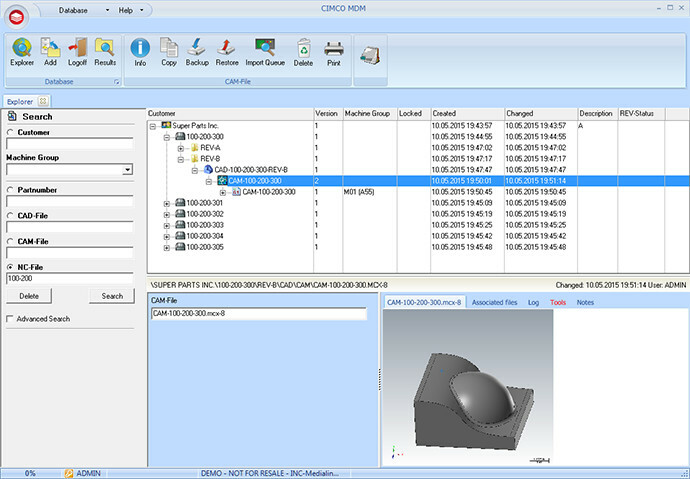 This allows for a more efficient workflow where both CNC programmers and machinists have access to all of their necessary data at a glance. CIMCO MDM comes with options for automating workflow processes based on document status changes. This enables MDM to e.g. lock or unlock NC files, set a transfer limit, send an email notifications, or request a comment when a certain status-change occurs. 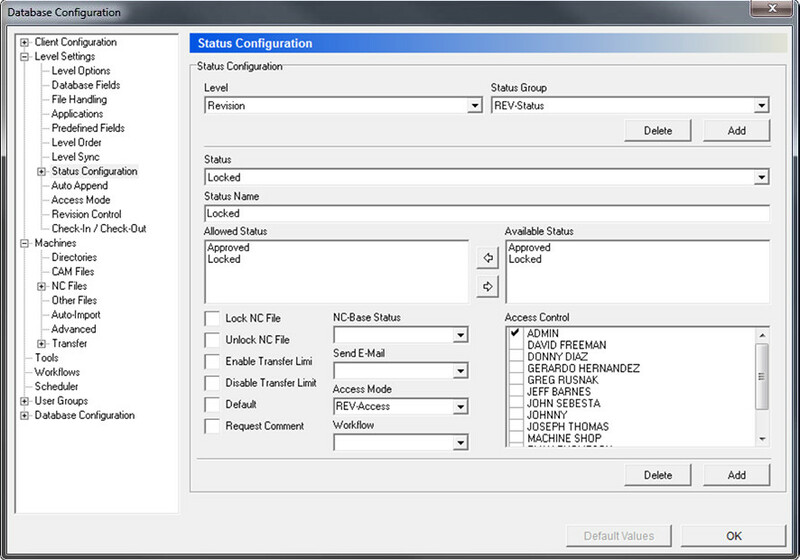 Status types and associated actions to be performed can be fully customized for your specific workflow and requirements.